So, here it is – ten years in the making, eighteen films down and it has all been leading up to this. Every Infinity War review I have read, shows how hard it is to review this film without spoiling anything. As I live in the UK, I managed to see it one day before the rest of the world, and am ready to review this film that although amazing, really does come with flaws – but I really could not care less about the flaws because what it gave me as a fan was so fulfilling. When I have been asked to explain the film in one word, I have used the word “crazy”, and I mean that in more than one way. To start of with, I want to state why I gave it a 9 and talk about everything IW did well. It is very rare that a blockbuster film actually lives up to the hype (and I have NEVER given a film more than 8.5), and IW lives up to the hype, this is a film you need to go and watch now. The only problem, is that it is 100% a two-part film, and when the second part comes out it has the potential to sour the film. Taking Age of Ultron as an example as a film that did not even live up to any of the expectations, Infinity War does every right. It gives the fans some service, is bold in its choices and creates a villain compelling enough for me to care about. That being said it really does have its flaws, with its biggest attribute, also being it undoing (but I will get more into that in my spoiler review – so go watch it and come read it), but the way I see it is that none of that matters, because the film blew my socks off. Even though they might not stay “off”, it was everything I realistically wanted it to be. As I and many, many other people have established, this film does not come without its flaws. 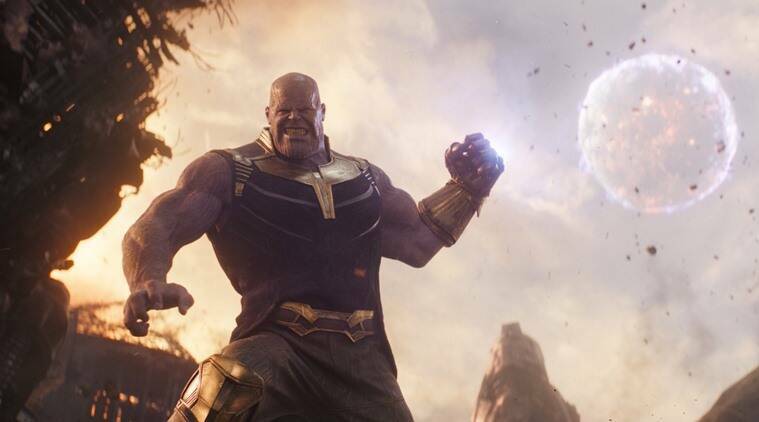 Unfortunately, there is a good chance your favourite characters hardly gets any screen-time (this is a pressing issue for me, that I will explain in my spoiler review), the big twist takes some of the emotional impact away, and it doesn’t feel like an Avengers film but rather just feels like it is setting up the new event for the decade: Avengers 4. Ultimately, if you are a fan of the MCU and know each film, this film will be amazing, they fit in so many easter eggs, with call-backs to classic lines from some films. You have to keep up, with it set straight after Thor: Ragnarok , so if you missed that, then they will just spoil the ENTIRE film for you. But, no matter what you think and no matter the downsides I could dwell on, it is a cinematic masterpiece – just by the nature of it and the result of it, even if it might burst your bubble (once again, explained in my spoiler review), it will be remembered as a movement and it will have a massive impact on pop culture moving forwards. The big shock, undoes all the work the film has already done unfortunately, but as I have said multiple times, I have never witnessed a film do what this film does, so I think we can forgive the flaws because ultimately, what did we expect? When it comes to the actual characters themselves, they are all split out perfectly, and it is clear more will be explored in the second film, with main characters who don’t get as much of the limelight as you would assume, are clearly set up to take the second. That being said, Thor, Gamora, Dr Strange and Iron Man all take the mantle, and are absolutely amazing, plus Bruce Banner/ Hulk continue to shines after Thor. But it is Thanos that steals the show, and it really is a Thanos film. I give Avengers: Infinity War a 9 out of 10, because all though it has its flaws and some undoing, I do not care because I have NEVER seen a film like it, and I doubt I will ever again! Previous Previous post: PREDICTIONS: THE WALKING DEAD – SEASON 8 FINALE. Next Next post: REVIEWBRUARY SEASON 2 [DAY 1]: JULY.